The year 2015 has been great for Irrfan Khan. The actor, who made everyone laugh with his poker-faced one liners in Piku, was also seen in the Hollywood film, Jurassic World. As he gears up for the release of Talvar this week, the actor is hopeful to continue his good run at the ticket window this year. "I have Jazbaa releasing a week after Talvar and I want that film to do well too. So the good run should not stop! I am very excited about both the films. They are so different that even if they were to release on the same day, the audience will watch both of them. The target audience of Jazbaa is very different from that of Talvar. The Indian audience has not seen a drama like Talvar before. Based on facts it is still very engaging and entertaining. Talvar will make you think." The actor feels that Talvar is a great story and deserves to be watched by every film lover. "Talvar is a story which deserves to be shared with the audience. Cinema is not just entertainment. It is also about showing the harsh reality to people and making them aware about how cruel real life can be. It is a medium to explore our society and ourselves. 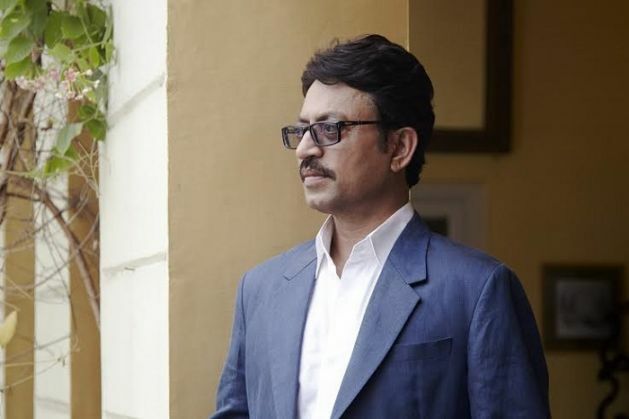 Talvar is a very honest take on the Arushi murder case," said Irrfan. Talvar was screened at the Toronto Film Festival recently, and Irrfan was very happy with the audiences and critics' reaction. "We got a standing ovation at the Toronto Film Festival. That speaks volumes about the kind of film Meghna has made," he stated. "I think Akshay Kumar was very pleased with the video. I didn't even know that the song was from an Akshay Kumar movie. I thought it was an original composition as I don't watch Hindi films. I am not trying to take away item numbers from cinema; I am just reflecting my opinion on it." Irrfan Khan's Haider was defeated by Court in the race of being India's official entry to the Oscars. However the actor feels that Court deserves to be in the Oscars and has the opportunity to make India proud. "Court is a brilliant film. This year we are finally sending a film which does not embarrass us. Most of the times we have sent films that make us wonder how on earth can someone send this for the Oscars! Sending those films was killing an opportunity to win at the Oscars. It would have been great had Haider been chosen, but Court is a great film too and my best wishes to the team," he added. "I don't consider this a clash. I think both the films will benefit from each other. It is nice for the audience to have an option of watching two films from totally different genres. If one film can do Rs 30 crore on a single day, it speaks a lot about the volume of business our films can do in a day."